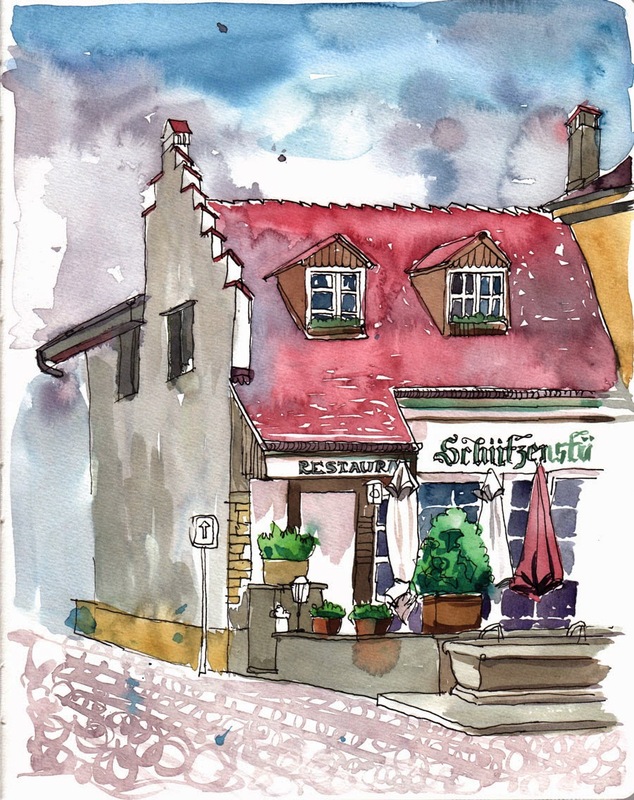 I did a sketch of this restaurant before. This time I kept it very very loose - something I don't usually do but definitely should practise. This is really a very refreshing water colour!